Discover Your Passion - Live Your Dream! Once you register and complete the quiz, you will immediately see your results. You'll also receive recommendations — based on your score — should you choose to pursue a career in coaching. Do you have what it takes to be a successful coach? There’s a quick way to find out… Take The Quiz – It’s fast, easy and FREE! In addition to your subscription to The Coaching Compass weekly directional (The Compass gets delivered to your inbox early every Tuesday morning) for a limited time – you get your own copy of the bestselling coaches handbook “Exploring Coaching” (a $9.95 value) just for taking the quiz! YOURS FREE JUST FOR TAKING THE QUIZ! Are you one of the unique and talented individuals who possess the special traits needed to be a great life coach. 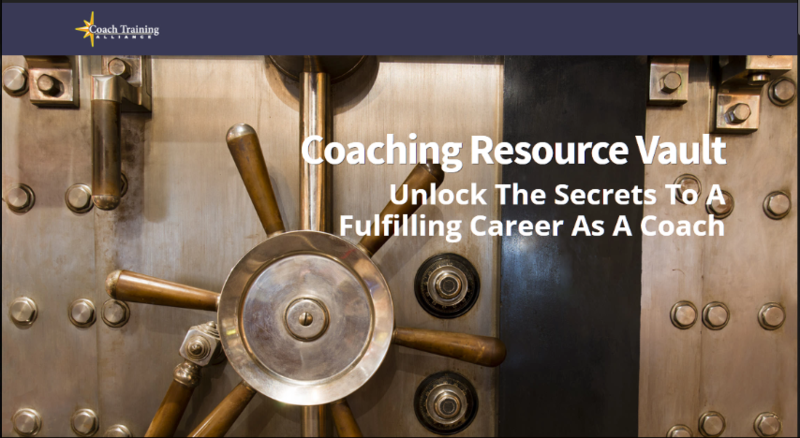 Free Access To The CTA Coaching Vault! Emailed directly to you every few days!